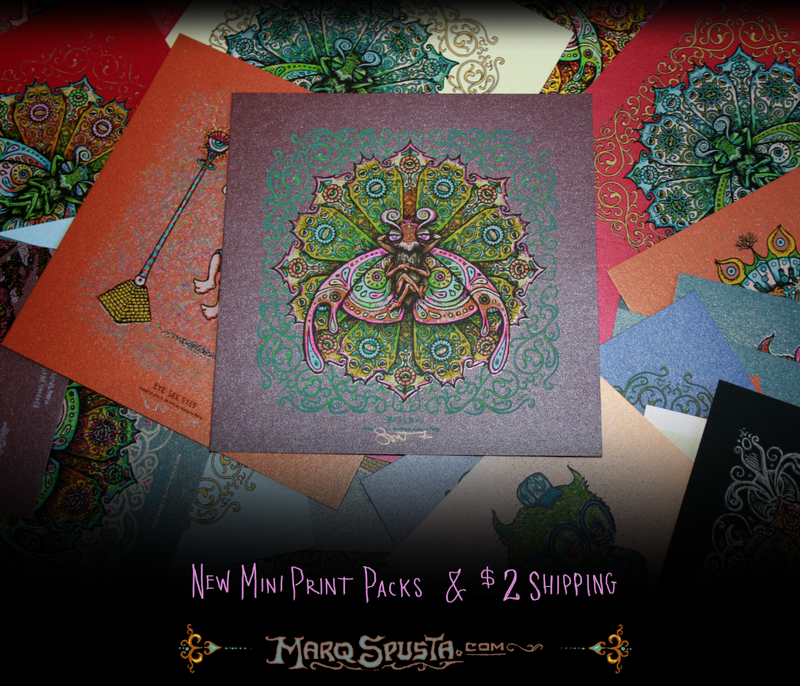 New Mini Print Packs and $2 Shipping in the USA! That’s right folks, we got a few new mini print packs available in the Shop for a limited time. Eye See Eyes and Lil’ Squirts make their debut, along with a fresh batch of Bliss Bugs and maybe a few surprises. 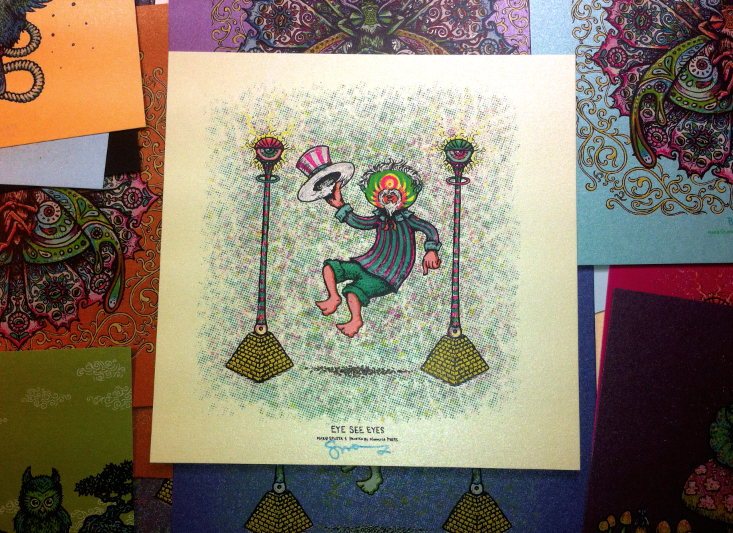 These minis have been printed with many ink colors on a lovely assortment of papers. Check the Shop for more details. Now is the time to get all your orders in, as we do plan on temporarily closing the Shop until later in the new year. Haven’t been this excited about an order since I got my Bugs!!!! Thanks for pumping out all this awesome work this year Marq! Can’t wait to see what 2013 holds!! !